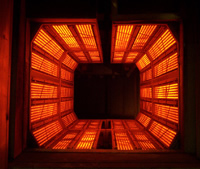 PROTHERM, LLC specializes in building electric infrared ovens for Powder Coating Applications. 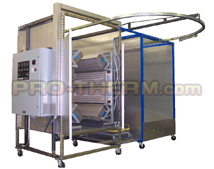 PROTHERM, LLC™ specializes in building ovens for Powder Coating Applications. 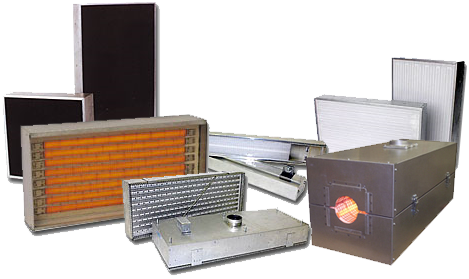 From simple heater arrays to complete conveyorized ovens for appliance blank lines, PROTHERM, LLC™ can complete a project from product analysis and testing, to design, to final build, and we provide installation and start-up support. We have successfully completed projects heating heavy weldments with cross sections within the weldment ranging from 12ga. to 2" to 100% IR cure of appliance blanks. We work directly with our customers as well as systems integrators to provide you the best heating equipment for your application. The "Heart" of our oven systems is the PROTHERM, LLC™ Series FS Heater which has high efficiency, long life and reasonable cost. For more related information see Infrared Booster Ovens page.